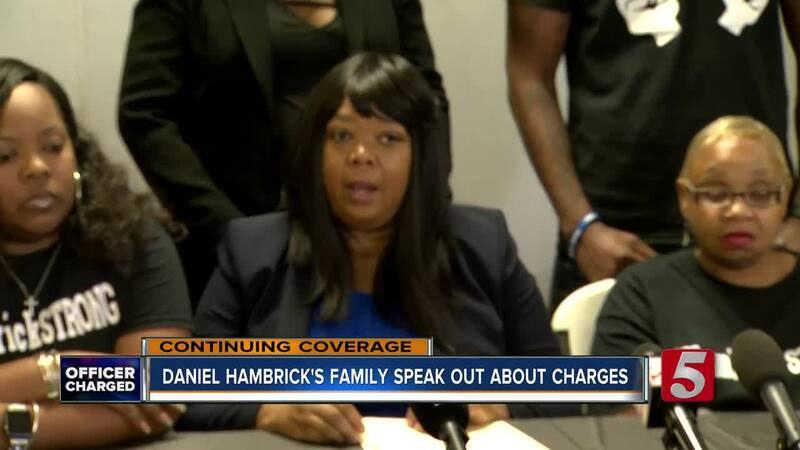 The family of Daniel Hambrick responded to the homicide charge filed against his killer, former Metro officer Andrew Delke. Family members and their attorney Joy Kimbrough held a press conference Friday afternoon at Church of the Living God in Inglewood. Kimbrough read a statement from Hambrick's mother, saying the charge was a step in the right direction. "For more than 2 months, I have patiently waited for Officer Delke to be charged for the murder of my son. My only child. Yesterday, my prayers were answered. However, I still do not understand why a juvenile crimes task force officer assigned to find stolen cars would chase my son down and execute him," said Vickie Hambrick. The family went on to say that a jury should decide Delke's fate and that they look forward to justice being served. "It is time we put an end to this. I would like to personally thank General Glenn Funk and his office for putting justice before political expedience. This is a good first step," said Vickie. Sameka Hambrick, Daniel's first cousin, said Delke's bond amount did not matter. "I didn't care if his bond was $5 or $10. The amount of money does not matter at this time. 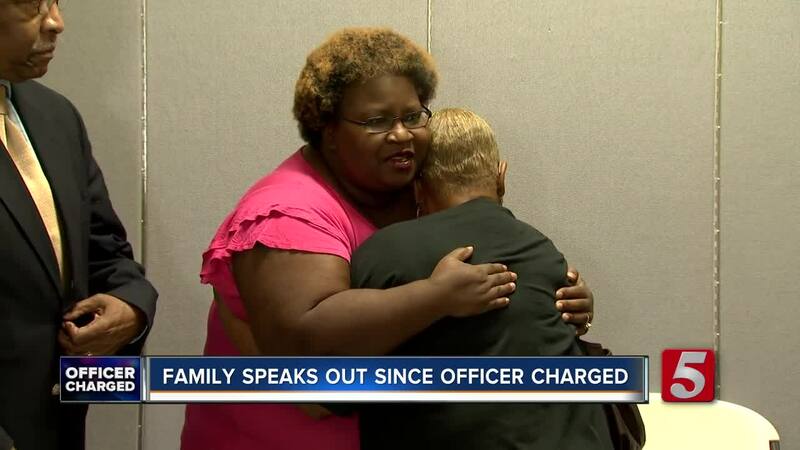 We got something that hasn't happened in the community, never, and that was justice to be acknowledged and somebody was to step up and say that this man was wrong," she said. The family said this charge was just the tip of the iceberg.